TECHNICAL SPECIFICATIONS Owner: ILVA S.p.A. in Amministrazione StraordinariaGen. 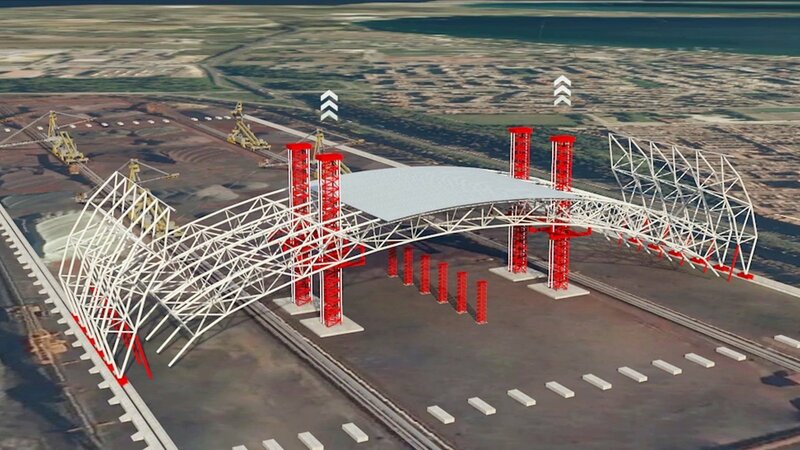 Contractor: Cimolai SpACovered Area: 355,600 m2Description: as part of the environmental renovation work to be carried out at the ILVA plant in Taranto, Cimolai was awarded the design, manufacture and assembly of the Mineral and Fossil Parks Safe Confinement. 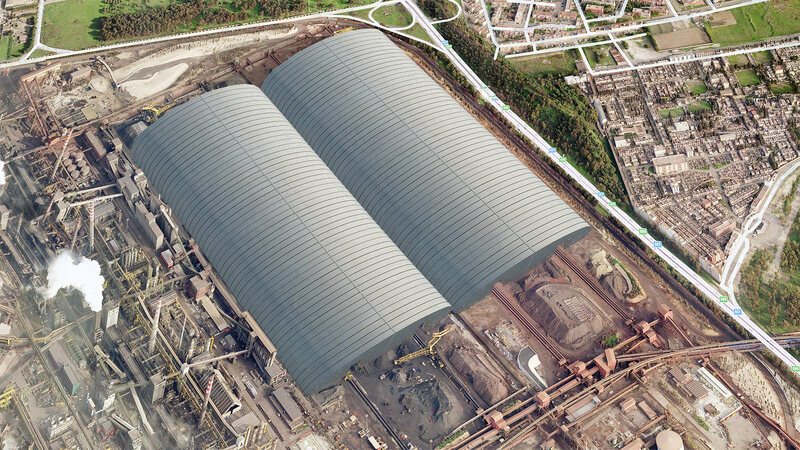 It’s a double steel structure, 80 m high, 254 m wide, and 700 m long, with a total weight of about 60,000 t.